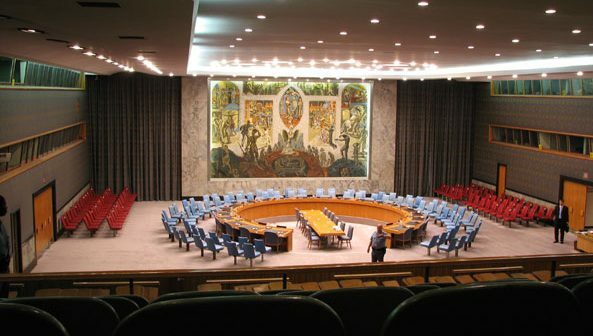 It is an honour to have the opportunity to address the Security Council of the United Nations for the first time.Â I convey the gratitude of the Afghan people to all Council members, and the countries you represent, for your commitment to a peaceful Afghanistan, and for maintaining a focus on the evolving situation in my country. Under-Secretary General Ladsous,Â thank you for your useful and comprehensive briefing and for spending an extended period of time in Afghanistan on your recent visit.Â It was a pleasure to join you and Mr. Heitmann in Kabul for the launch of the UNAMA mandate reviewâ€™s team visit. 2011 has been a year of significant milestones for Afghanistan and we Afghans are proud to have been successful in most of the steps we have taken in partnership with the international community.Â Of course, as in the years before, every bit of our achievements has come at a price.Â Terrorism remains a strong threat, and Afghans have continued to pay huge sacrifices for the vision of a peaceful, prosperous and democratic Afghanistan. However, no threat or demand for sacrifice will deter us from achieving our vision, and we truly appreciate the crucial help of our international friends and partners in this historic struggle. Having always aspired to achieve self-reliance, this past year we finally took the crucial step of beginning the Transition process, which will see Afghanistanâ€™s national security forces take full responsibility for security in the country by end of 2014. With the implementation of the second tranche of transition, announced last month by His Excellency President Hamid Karzai, Afghan forces are taking charge of security for over fifty percent of the countryâ€™s population. Allow me to emphasise that, for us Afghans, Transition is not an imposed deadline, or a mere operational benchmark.Â Transition is truly the manifestation of our determination to succeed, and to stand on our own feet. It is the guiding framework for all our efforts and, in a fundamental sense, it is the ultimate goal of the partnership we Afghans have had with the international community for the past ten years. Transition, however, is not just about security.Â As we move to take full responsibility for defending our country and securing the lives of our people, we are also assuming greater ownership of affairs on the civilian front, including the political process and the development agenda.Â Therefore, to make transition meaningful, alongside building up the capacity of our security forces, we are redoubling our efforts to take the peace process forward, improve governance, fight corruption and build the requisite capacities of our government institutions to carry out their sovereign functions effectively and transparently. Speaking of the political solution, I wish to reassure the Council that the Afghan Government remains committed to the Afghan-led peace effort that is aimed at reconciling members of the armed opposition and bringing them to peaceful lives in the society.Â You are aware that our peace efforts have, in recent months, faced a number of setbacks, notably the tragic assassination of Professor Burhanuddin Rabbani, former president and head of the High Peace Council. Nonetheless, at the consultativeÂ Loya Jirga last month in Kabul, the Afghan people unanimously reaffirmed the peace process, giving it a renewed impetus. The national gathering conveyed the Afghan peopleâ€™s desire forÂ theÂ continuation of an inclusive Afghan-ledÂ national reconciliation and reintegration process. Through the peace process, we will continue to reach out to the armed opposition, and reconcile thoseÂ willing to renounce violence, break ties with terrorist organisations, and live peaceful lives under the Constitution.Â We believe the process may benefit from the establishment of an office, within or outside Afghanistan, whereby formal talks between relevant Afghan authorities and representatives of armed opposition, including the Taliban, could be facilitated.Â Furthermore, we will continue to rely on support from regional countries, in particular the Islamic Republic of Pakistan, without whose support, our peace efforts will not bear the desired results. The role of the region surrounding Afghanistan remains central to the peaceful and prosperous future we Afghans envision for our country.Â The threats we share in common, including the menaces of terrorism, narcotics and so on, will not be defeated, nor will peace in Afghanistan ever be achieved, in the absence of constructive, result-oriented cooperation at the regional level. Therefore, over the past ten years, we in Afghanistan have put regional cooperation at the heart of our vision for the future, and we will continue to do so in the future. Thanks to the leadership of the brotherly Republic of Turkey, the â€˜Istanbul Conference for Afghanistan: Security and Cooperation in the Heart of Asiaâ€™, held in early November in Istanbul, was one visionary step forward towards cooperation and confidence building across the region. We are bothÂ hopeful and optimistic thatÂ the Istanbul Process willÂ help bring about a new regional environment â€“ one that is characterized by cooperation, integration, confidence, and a shared effort for achieving security and prosperity.Â This visionÂ has eluded us for far too long.Â We will follow up the Istanbul Conference with another Ministerial Level conference to be held in Kabul in June 2012, the preparation of which has already begun in earnest. As the partnership between Afghanistan and the international community evolves through and after the Transition phase, Afghans need the reassurance that our friends from the region and beyond will continue to support our progress towards peace, stability, prosperity and democracy. Thankfully, this assurance was given, in very strong terms, two weeks ago in Germany, where over a hundred countries and international organisations gathered for the â€˜International Afghanistan Conference in Bonnâ€™. I wish to express our sincere appreciation to Germany,Â Afghanistanâ€™s longstanding friend and partner, for hostingÂ this historic conference. 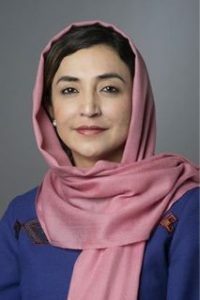 The true significance of the Bonn Conference was in reflecting a crucial consensus that exists internationally for supporting a peaceful, sovereign and prosperous future for Afghanistan. This consensus was expressed in a strong language of support and commitment, particularly in setting out the concept of the Transformation Decade of 2015-2025 as a solid basis for the international communityâ€™s enduring engagement and support beyond Transition. The Conference also reaffirmed the Kabul Process as the framework for international communityâ€™s cooperation with Afghanistan as we continue to transform our country out of a war-dependent economy towards self-reliance.Â In this context, we look forward to the Tokyo Conference in July next year as an opportunity to focus on Afghanistanâ€™s future economic agenda.Â I thank our Japanese friends for their friendship and for organizing this crucial conference. If the Bonn conference was the demonstration of a consensus at the international level, the consultative Loya Jirga organized on 16 to 19 November in Kabul was its mirror image within Afghanistan, reflecting the unanimity among the Afghan people for partnership and engagement with the international community.Â Over two thousand Afghan representatives from all segments of society and all corners of the country came together and, in a historic manifestation of democratic will, gave a resounding affirmation to the Afghan governmentâ€™s efforts to forge long-term, strategic partnerships with the United States and other countries from within and outside the region. In this context, we have proudly finalized a strategic partnership agreement with our old, historic friend, the Republic of India, and are in the process of negotiating similar agreements with our other friends and partners, based on the principles of mutual respect and the fundamental equality of sovereign nations.Â These partnerships will be the building blocks of Afghanistanâ€™s future relations with the international community. They cannot, and will not, represent a threat to any other country in the region or beyond. As we move forward, the role of the UN will remain crucial to Afghanistanâ€™s partnership with the international community. We expect that the ongoing review of the UNAMAâ€™s mandate will produce a more coherent and responsive UN role in Afghanistan and, in this context, welcome the recent visit of the review team to Afghanistan. I look forward to a continued dialogue between Afghanistan, both at the Kabul level and in New York, and the United Nations towards the review, which should reinforce the principles of Afghan ownership and leadership through transition and beyond. Speaking about the UN, may I request Under Secretary General Ladsous that you convey my, and the Afghan peopleâ€™s, gratitude and deep appreciation to Mr. Steffan De Mistura for his dedicated service and excellent leadership of the UN in Afghanistan.Â I personally have enjoyed working with him, and I wishÂ himÂ everyÂ success in his future endeavours.Â May I also take the opportunity to congratulate Mr. Jan Kubis on his appointment as the new SRSG.Â Mr. Kubisâ€™s distinguished career, and the trust invested in him by the Secretary General, assures us of a continued effective leadership of the United Nations in Afghanistan. 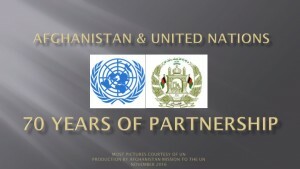 As we meet today, at the end of the tenth year of what has been a truly historic collaboration between the Afghan people and the international community, allow me to reaffirm Afghanistanâ€™s unwavering determination to achieve a peaceful, prosperous and democratic future in close partnership with the world.Â Of course, we have had tremendous achievements together, and we are all aware of the challenges on the way ahead and the imperatives for continued commitment and cooperation. Today, with the tremendous success of the Bonn Conference fresh on our minds, I am here to express appreciation for the international communityâ€™s recommitment to Afghanistanâ€™s future, as expressed in Bonn earlier this month. I also thank this august Council for standing behind the Conference conclusions. 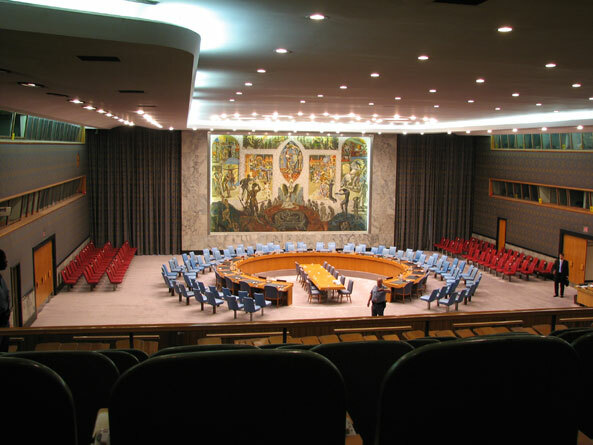 As Afghanistan moves from Transition to the Transformation Decade, this Councilâ€™s guidance, and the international communityâ€™s commitment remains as crucial for our future as ever before. Â Thank You!